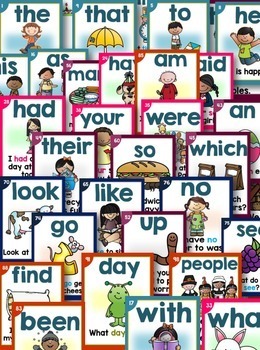 Sight Word sentence cards are instrumental in teaching kids how to read essential words in context. 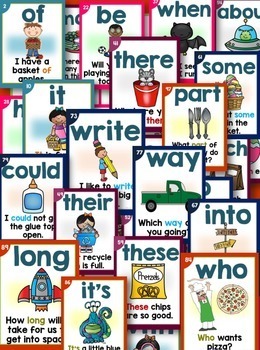 With this set of 200 words (Fry's First and 2nd 100) the possibilities are endless in meeting your sight word goals for instruction or intervention. This bundle includes 200 large cards. 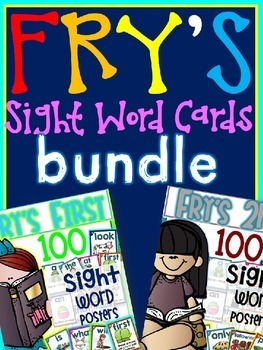 You may also like my other sight word bundle with includes 200 small cards for centers or small group. If you would like to purchase for your whole team, please be sure to purchase the multiple license.